It is with pleasure that my team and I welcome you to the Novotel Barcelona Cornellà. We hope that you will enjoy our city and your stay at the hotel. Welcome! Combine business and leisure with the Novotel Barcelona Cornellà hotel offer. The hotel boasts five meeting rooms with customized equipment, business corner and complimentary WiFi. The spacious and modern rooms feature shower and bathtub. Visit the touris t information desk and make the most of the hotel's location next to the metro to explore the city. 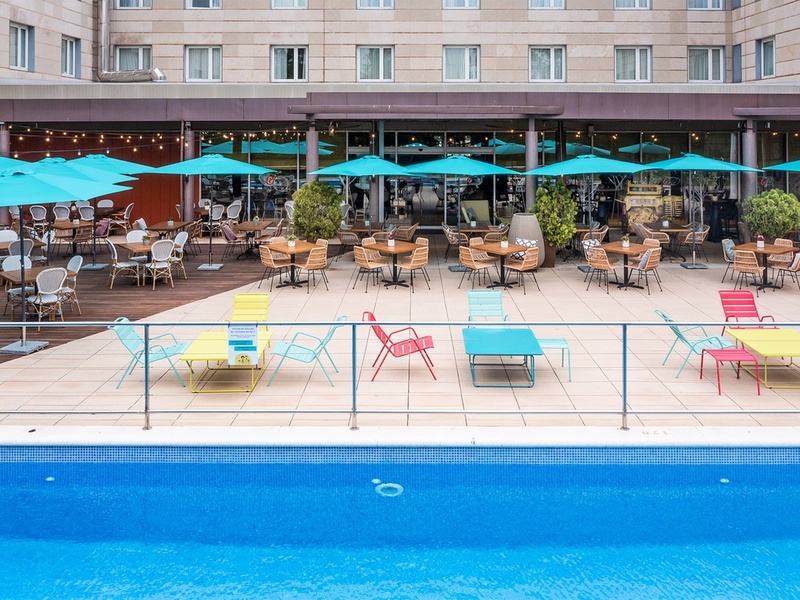 When visiting with your loved ones, the gardens by the pool and the restaurant's spacious terrace are a testament to the savoir-faire of Novotel. Enjoy the new Novotel restaurant concept in Spain, featuring an open kitchen with a friendly atmosphere and Spanish specialties prepared with fresh and healthy seasonal ingredients.